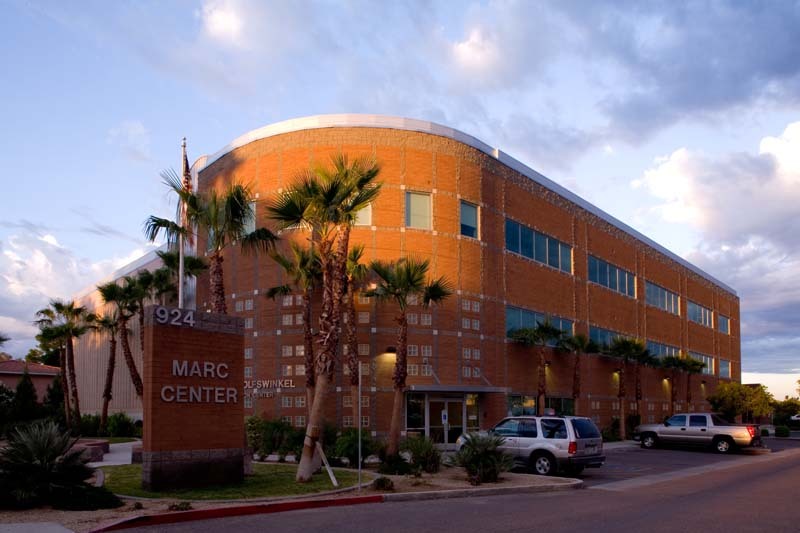 Marc Community Resources is a well-respect non-profit organization that works with our community’s adult developmentally disadvantaged adults to provide support services to these individuals so that they can enjoy a greater quality of life. In pursuit of these efforts, Marc’s work training programs produce over $11 million in revenue per year and enrich hundreds of individuals and their families. 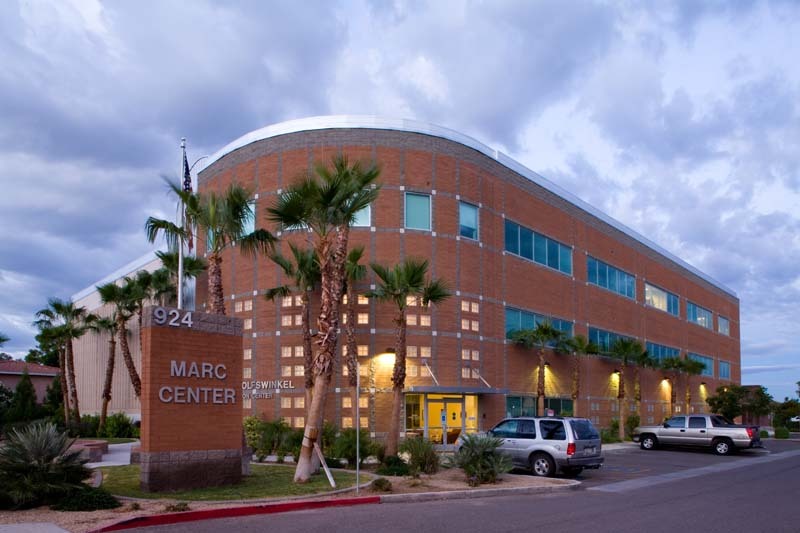 This project, located on a very restrictive site and based on a complex building program, resulted in a mutually rewarding client/architect relationship, and Adaptive Architects is proud to have worked with Marc Community Resources on many of their subsequent facilities over the years. 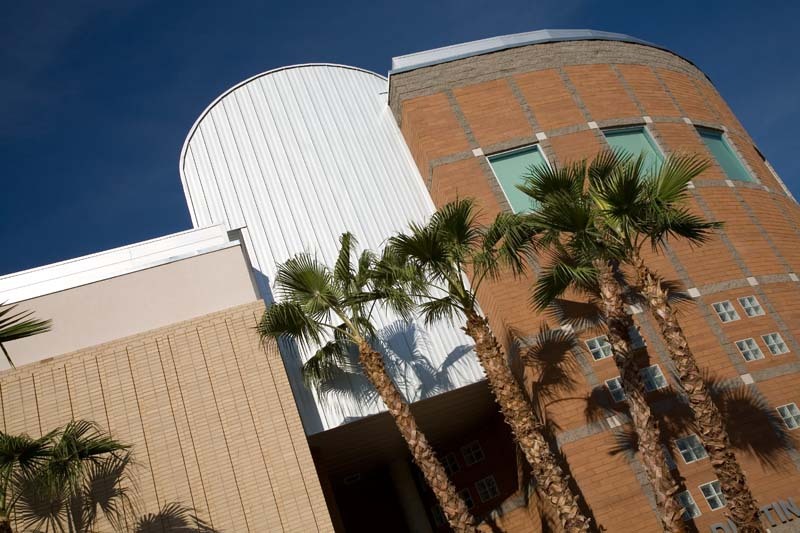 The Admin & Day Services Building was the first new development on the organization’s main campus in Mesa, Arizona, and it included new construction, a renovation to an existing structure, and extensive site development. 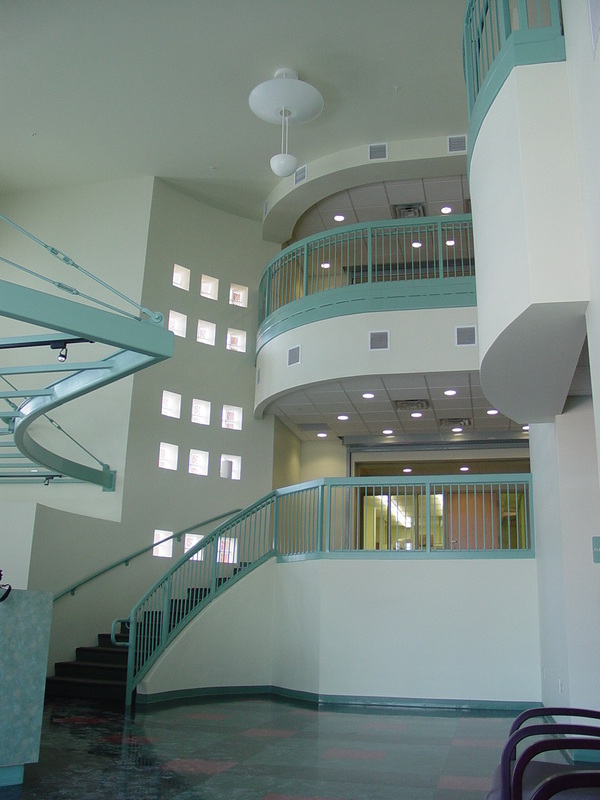 The new three-story building includes a basement and was designed for the potential to add two additional floors in the future. The building is comprised of 30,000 square feet and features program space to house of day care and counseling services on the first floor, client and staff training areas on the first and second floors, and administrative functions on the third floor. 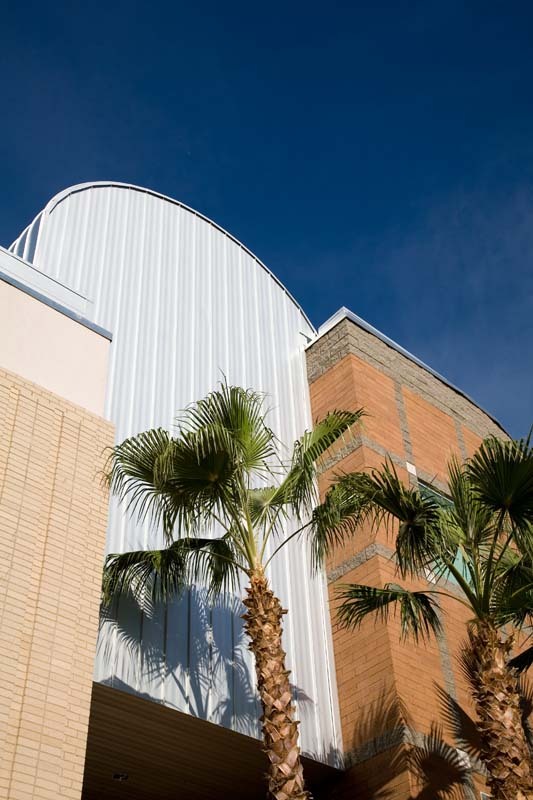 The new structure melds seamlessly with an existing 1960’s three story office building that was remodeled and occupied during construction of the new addition.